A bit of a late post today... I was planning to get photos yesterday (Easter Sunday) and get this post ready to go last night, but we just got too busy having fun, serving at church, going out for lunch, egg hunting and Frozen watching (they got it for Easter) that photos didn't even happen. :) So this morning I convinced them to dress up for me again and we went into the backyard for photos and now they are busy watching Frozen again so now I finally have a chance to get this post up! But. AH! 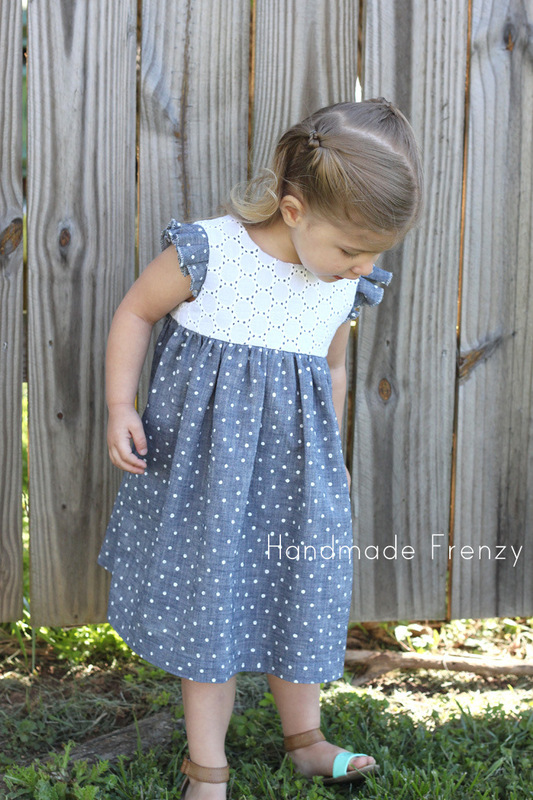 I so seriously adore this little dress!! 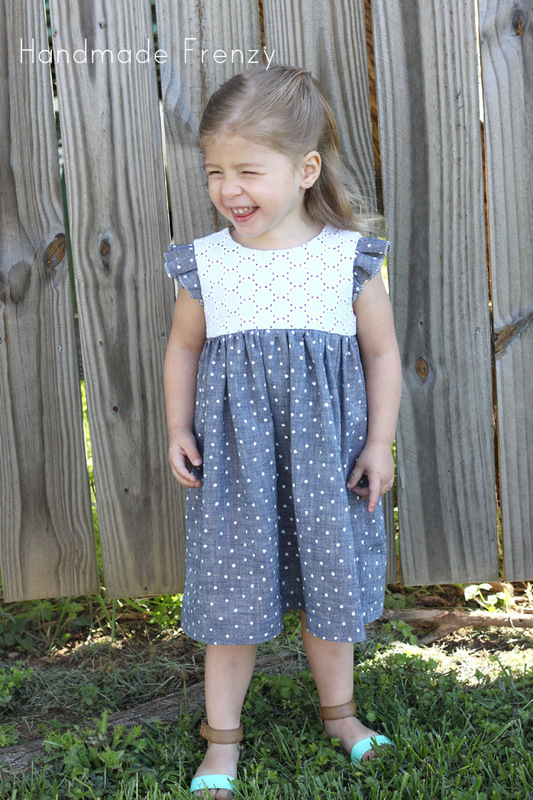 I forgot to take pictures of her with her hands in them, but I added the side seam pockets to this one, and eep! So cute!! 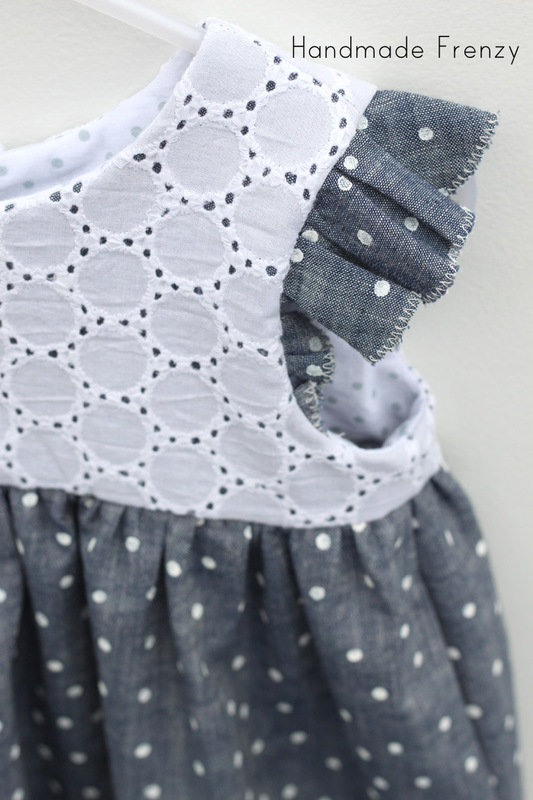 The main fabric is a chambray from Joann that I hand-painted the dots on. 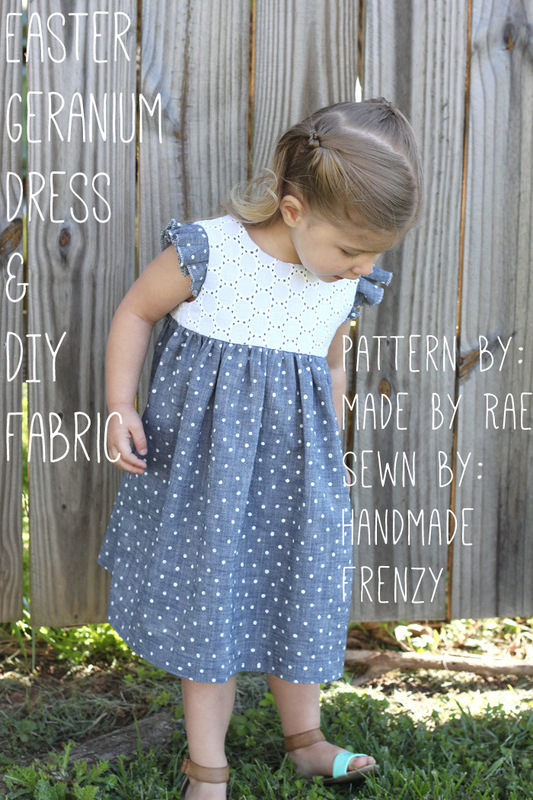 (Scroll down for the DIY instructions!) 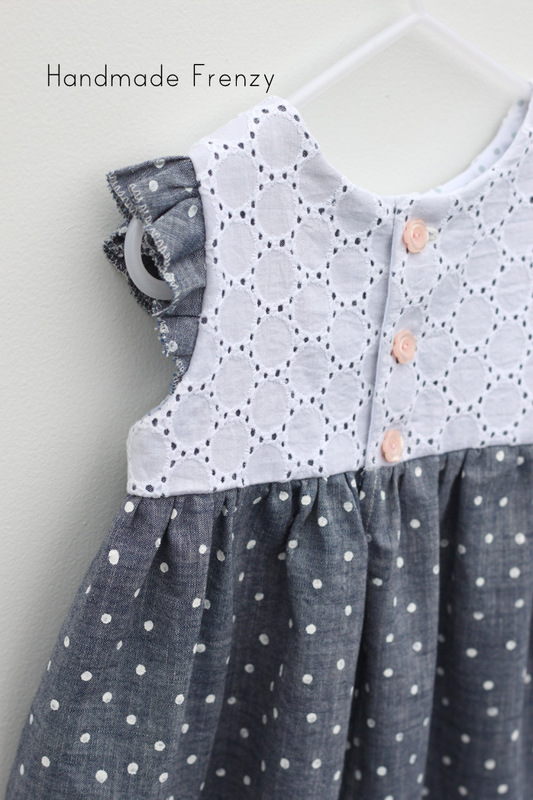 The bodice is an eyelet, also from Joann. I cut 2 bodices (actually 3 with the lining), one from the eyelet and one from the chambray, then basted them together and treated them as one piece of fabric from there on out. 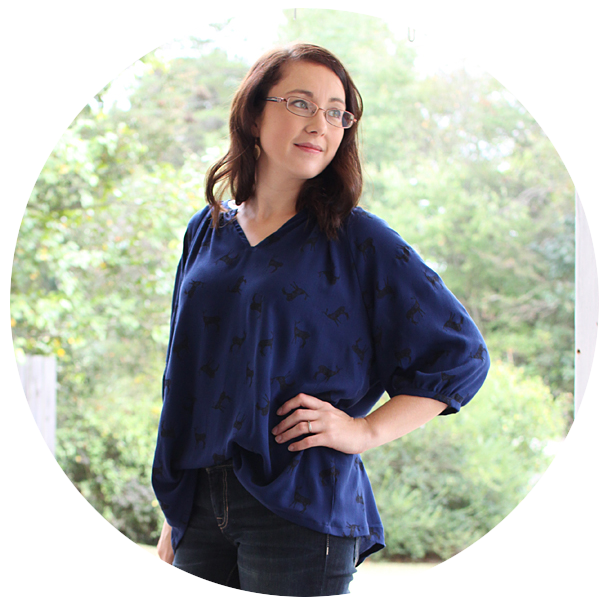 I just adore those flutter sleeves!!! 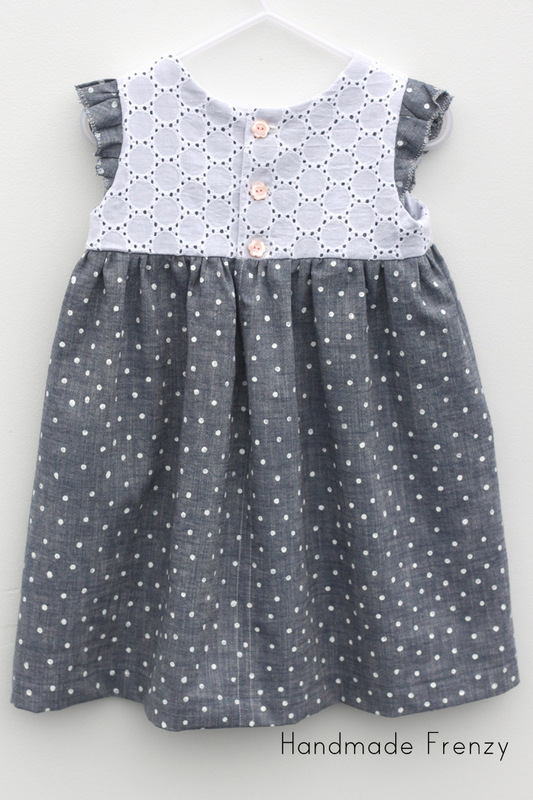 I let her choose the buttons for this one, well, semi-choose... I gave her 3 options, these flowers and 2 others that matched the dress. It was no contest, she immediately picked these little flowers. Great choice, I think! 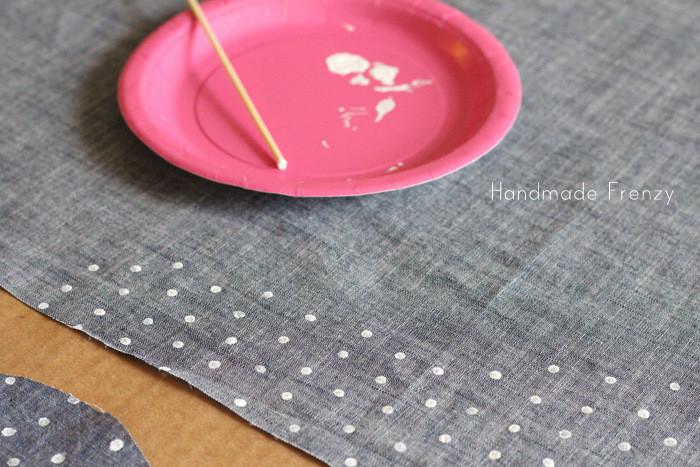 If you want to make your own DIY handpainted dotty fabric, I'll walk you through it! It's super easy. 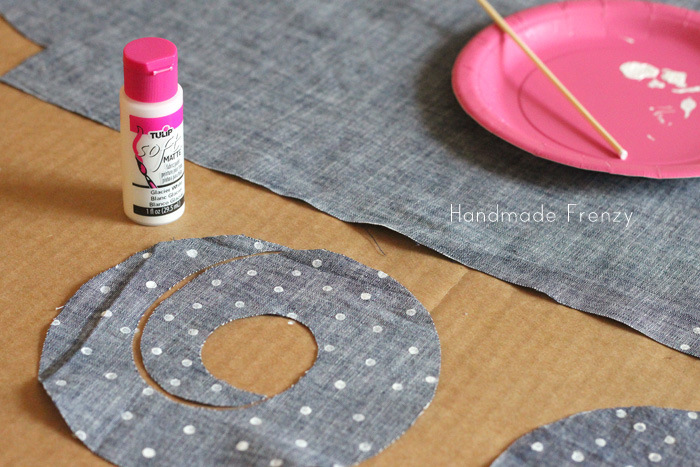 Grab some white fabric paint, a chopstick, a paper plate, some large cardboard pieces and your fabric. 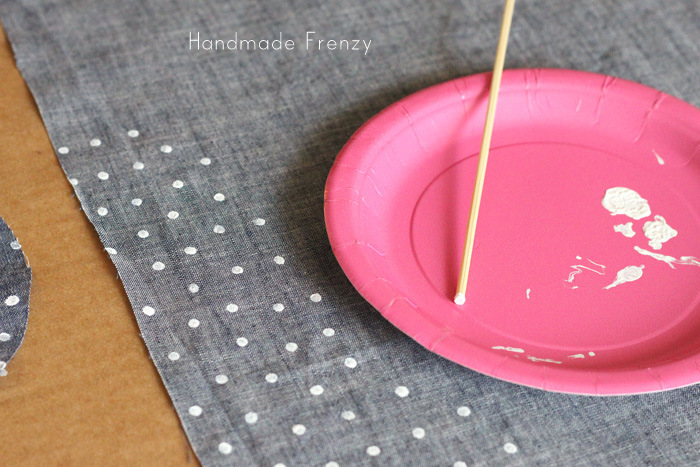 Lay your fabric out on the cardboard, then squeeze just a little bit of paint on your plate, dip the end of your chopstick in the paint and start stamping! I would recommend practicing on a scrap until you get the hang of how much paint to keep on the end of the chopstick. Not too thick is best. I would dip it into the paint, then stamp once on the plate, then go to the fabric. Just keep stamping! I chose to do a "random" pattern with the dots. I like the outcome but next time I'll probably do rows, I think it's just easier to find the rhythm that way. 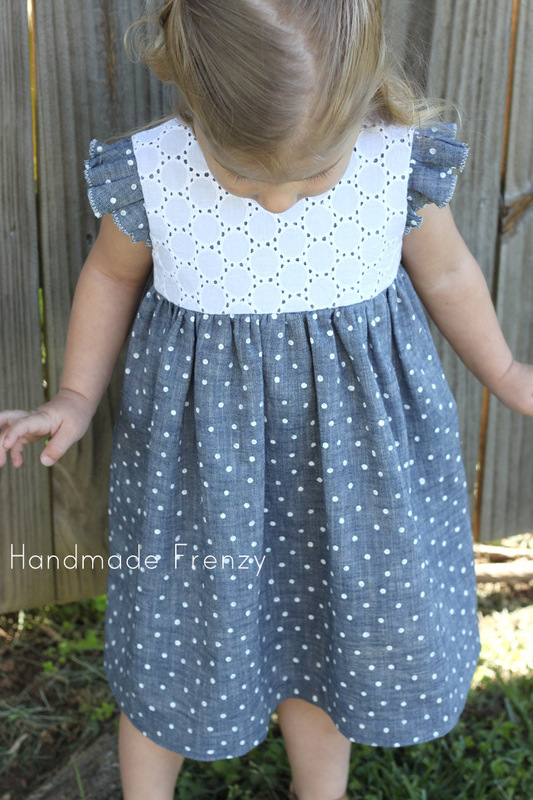 I'm quite thrilled indeed with her hand-painted, mama-made Easter dress this year! This just happens to be my 100th post today too! Woohoo! I absolutely am so very grateful for all of my readers and all of your lovely comments!! It definitely helps to motivate me to keep posting :) Hugs to you all!! That's a lot of stamping!!! 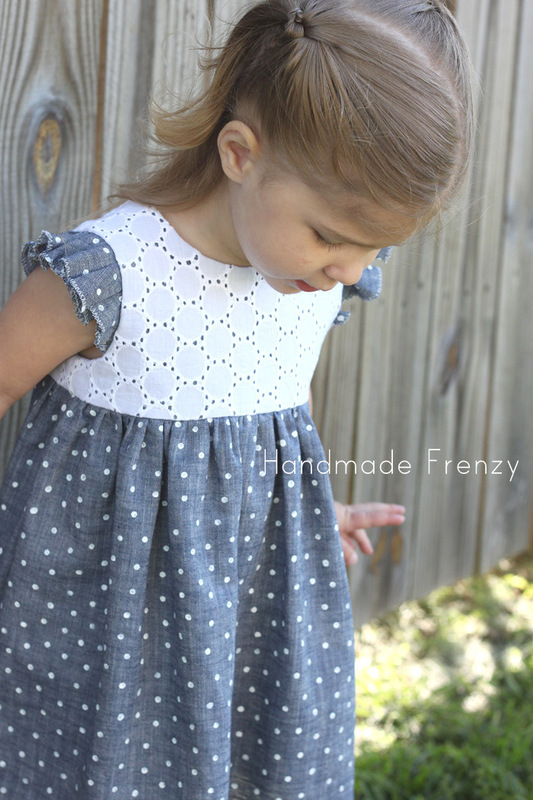 But super special dress because of all the personalization. Beautiful! Haha, yes it is! But I'm crazy enough that I'd probably do it again :) Thank you! 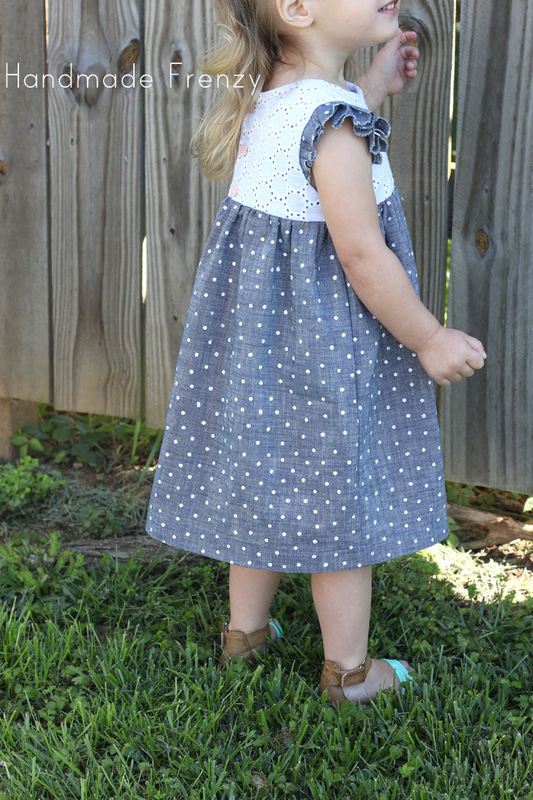 Your stamping is absolutely perfect - and the dress is beautiful.